[a few disclaimers] this post is only possible due to several factors -- first is that our homecare nurses are privately hired by Nick and myself (though we are financially funded and quarterly audited by Alberta Health Services via their Self Managed Care program) and not through a nursing agency (which potentially could have made it impossible to publicly write a post like this). Secondly, posting these pictures are only done with the complete approval of our homecare nurses. Privacy is something that is extremely important in healthcare as well as on a personal level. While I've made the individual decision to be "a blogger", and choose to post about our family life in such a public way (though there are indeed several aspects of our life that we do keep offline and completely private), that doesn't mean our staff have to be subject to it. While it was indeed through this platform that they applied for the job to come work for us (probably the biggest blessing that has come from my blogging and Instagram posting when I think about it), they are still entitled to their individual privacy within their work environment. Thankfully, they agreed take photos with Evanna (and in return, have been been given permission to post and personally use these photos too! ), and are allowing me to publicly post and talk about the side of healthcare (and essentially what is a HUGE part of our life) that often has to legally remain private. Finally, I also want to also recognize my cousin Jess and good friend Amanda who also lend their nursing skills to be additional backup/respite to our main team, and work a few times per month when needed. It's never a bad thing whatsoever to have a large "pool" of people to pull from that we can completely rely on. When you have a child like Evanna, it immediately closes off all the normal channels of childcare... most of the time including your own family members. While I hope one day Evanna will get the normal experience of staying with Nono + Nona (my parents) or Grandma + Grandpa (Nick's parents) for a sleepover, it's just not something that exactly feasible due to both safety and comfort levels. So it's been such a blessing to have these two other girls that have also been trained to watch Evanna and we can call upon should we need help filling some holes in our regular nursing schedule. So to be perfectly honest, I've been trying to write this post for well over a month now, and somewhat hit a bit of a "writers block" when trying to convey exactly how I feel and what I wanted to say about our absolutely amazing homecare nurses. But how do you put into words and express your love + gratitude towards people who have literally been the greatest support (regardless of the fact that they technically get paid) in your life? Having and dealing with a very ill family member can be an incredibly heartbreaking situation, and unfortunately homecare can sometimes actually add to the stress of it all. 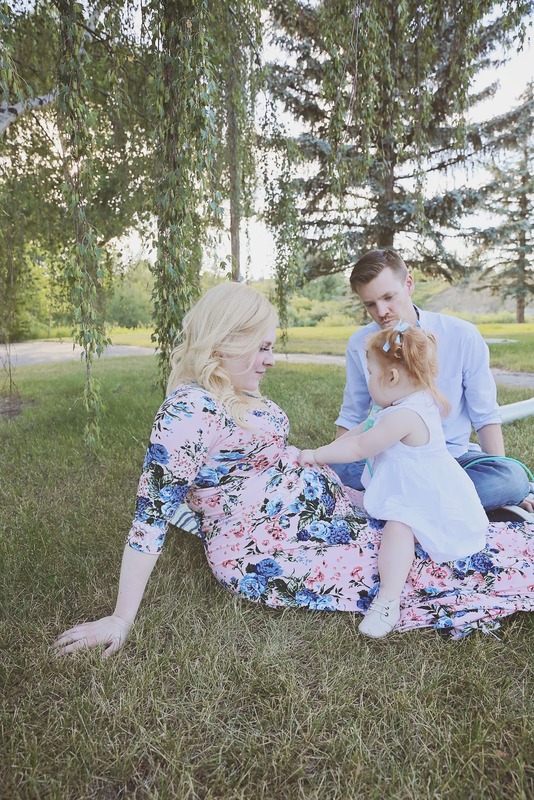 However, we have been incredibly blessed with 3(+2) absolute angels that have not only come into our home and helped care for Evanna, but also become a huge part of our family. Heck, I often joke that because our nurses our physically within our home every night (and plenty of days too! ), they know more about Nick and I than our closest friends and family (thankfully we don't have any embarrassing deep dark secrets lol). 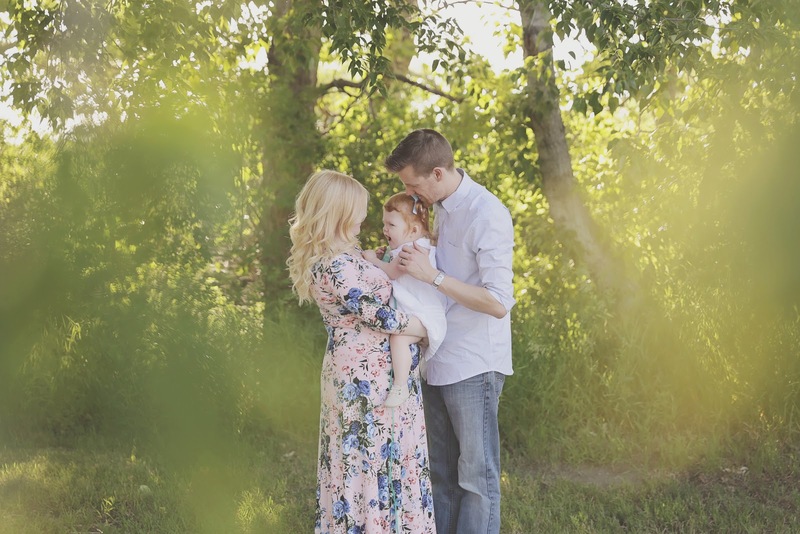 While I'm always flattered with the comments of praise for Nick and myself as parents over the years in regards to Evanna, I feel it necessary to talk about what kind of goes on "behind closed doors", and the people we share a large part of our life with. I've made it no secret that due to Evanna's tracheostomy, we have homecare nurses who help watch her through the night, but being that we're coming up on our "2nd Homeversary", want to give credit where credit is due. So, basically what I want to state for the record -- is that a large part of Evanna's amazing growth, development, stability over the past few years (ie. remaining largely out of hospital), and why Nick and I haven't even come close to "burning out", is thanks to our lovely and wonderful homecare nurses! Back when Evanna began to fail extubation after extubation, our medical team started to throw the word "trach" around, and absolute fear and dread came over Nick and I at the thought of it becoming our actual reality. 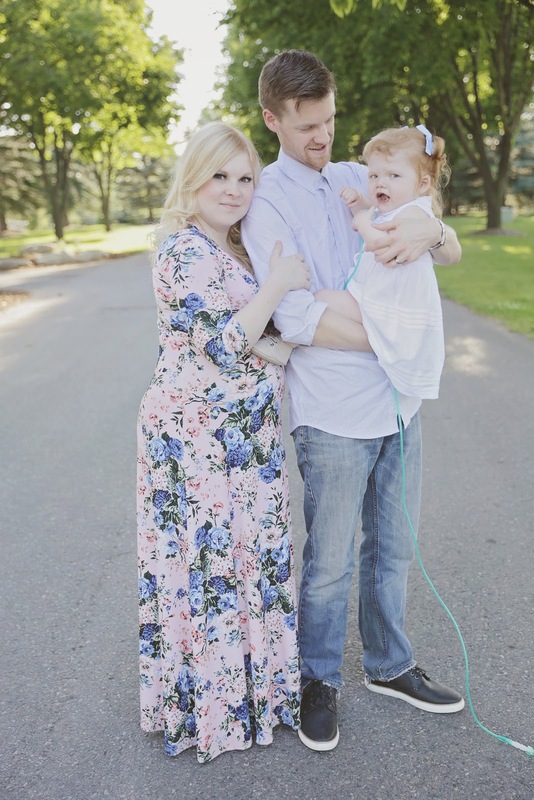 Despite the fact that it would be one of the most simple and routine surgeries Evanna would undergo, we knew the huge impact it would have on our life -- including the fact that we'd now have to open up our home to homecare nurses and essentially loose some privacy that most take for granted. It was seriously one of the hardest consent forms I've ever had to sign (though, to be clear, I no longer feel this way), and became quite angry at our predicament. Homecare isn't always "rainbows and butterflies", and I've read some pretty disturbing things within some special needs groups I'm apart of -- and we too even had a somewhat "rocky start" to our homecare journey, but overall, after finding the "right fit", it has become one of the greatest blessings in our lives and we're beyond grateful for this awesome resource that's been made available to our family. So what kind of things do our homecare nurses do? .....let's start with the "basics". 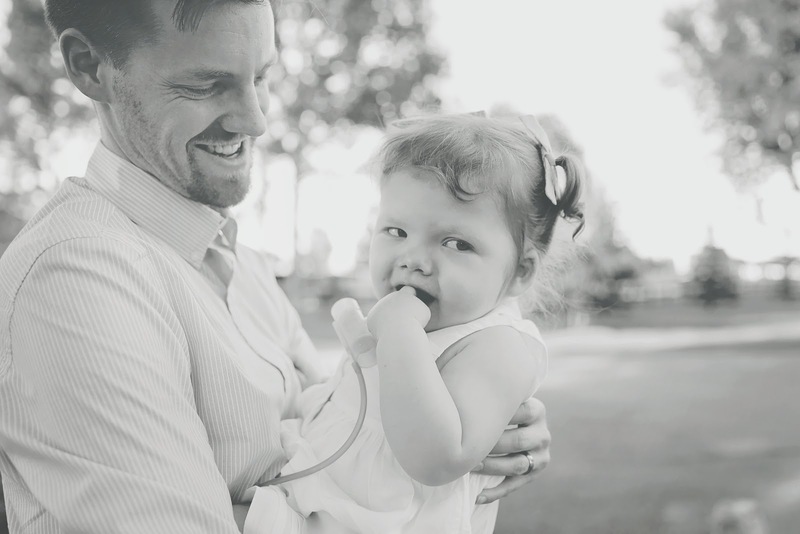 When they first arrive to our home at 10pm, we generally give a quick little run down of how Evanna's day was, and let them know if anything has changed medically (which happens less and less often the more stable she has become). Sometimes this conversation can be a total of 60 secs, and at other times can last almost an hour if I'm in a super chatty mood and we decide to talk about more personal stuff (what's going on in their lives, if I want to rant about something that's currently bugging me, etc). They will then run their personal belongings upstairs to Evanna's room, and come back downstairs and begin preparing her 10pm GTube feeds and get those started. After saying goodnight, I will head to bed around 11pm and go to bed feeling at ease that Evanna is safe and sound. The rest of the night is spent giving Evanna her other 2 GTube feeds (2am & 6am), medications (2am), taking her vitals (respiratory rate, oxygen saturations and heart rate) about every 3 hours, changing her diaper and suctioning as required, and recording all this in the nursing binder. In between all this, they have a small (at least I think it's small....) list of tasks they need to complete to essentially help prepare things for the next day. Things like cleaning out both of the suction machine canisters (though, I have to laugh, as this is Amanda's [who by trade is a L&D nurse] least favorite task. Apparently secretions are much more gross than poop and amniotic fluid lol), clean the living room humidifier pot and refill it with distilled water. They then stock the living room and bedroom carts with alcohol swabs and other miscellaneous items while essentially trying to "straighten things up" from the previous day. They ensure there's a new suction catheter (and most recently a new HME for "ventilator sprints") ready to go on the living room cart, and even restock the "diaper basket" with diapers, wipes, some face clothes and a few swaddles. The last few things they may do through the night consist of folding any clean laundry of Evanna's and help put that away if we've run a load through the washer earlier that day, straighten up her toys and prepare a new batch of feed if required. Other than that, they can quietly "do as they please" the rest of the night..... within the confinements of Evanna's room of course. So anything from watching movies/Netflix, reading a book, scroll on their phones, and even knit or crochet! I know Carmen will spend some of the time doing school work as she's currently doing the RN bridging program (so proud of her! ), and overall the girls are essentially are encouraged to do whatever they can to help STAY AWAKE! Through the homecare program -- we also have a number of "daytime respite hours" that we are allotted each week. We use these hours to schedule the girls to help us take Evanna to medical appointments, or keep her home so Nick and I can run errands (as taking Evanna with us is "easier said then done".....as I visually demonstrated in this previous post I wrote last summer), or even just allow us breaks for personal social fun (ie. like when Nick's work rotation falls on a weekend, but I'd like to go for dinner with friends). Like I mentioned at the very beginning of this post (in the disclaimer portion), Nick and I don't have the luxury of normal childcare options available to us (whether that be in the form of family members or a daycare), and so we're given these hours to ensure we have have a way to get out of the house and enjoy some normalcy from time to time. What kind of things do the nurses do during day shifts? Well, there's still some of the same stuff, such as GTube feeds, changing her diapers and suctioning as required. Evanna doesn't really have any daytime medications anymore (though this sometimes changes after an admission and may have a med or two we're weaning her off of), and would say the biggest focus is basically entertaining and playing with Evanna, and work on things such as physical therapy (ie. crawling, standing and walking) and oral/feeding therapy. 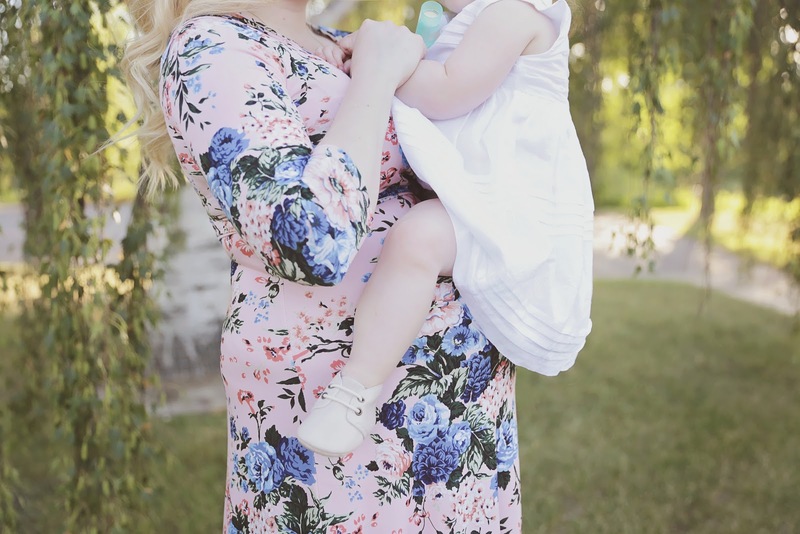 I often describe our nurses as "medical nanny's", as the role has shifted more and more into that of a nanny, but still have that medical background and knowledge for Evanna's safety. On top of our regular nursing hours, we can also request 4 "respite weekends" per year, and essentially get an infusion of extra nursing hours if Nick and I want to getaway and have some time to ourselves. While we didn't really start using these hours until just this past year, we did use it once last summer when I wanted to attend a music festival, but it ended up landing on a weekend that Nick was working. So though we both were technically in the city, it ensured that Evanna was appropriately cared for while I went and had a weekend of fun with friends (as in "normal circumstances", we would have Evanna stay with my parents for the weekend instead). This year Nick and I did our very first night away together since Evanna was born back in February to Lake Louise, followed by a quick getaway to a cabin with friends in June and a "babymoon" to Golden and Emerald Lake at the beginning of August. We've decided to "save" our last respite weekend of the year for when I go into labour, and ensure we have extra hours to pay our nurses to be at the house with Evanna so Nick can be with me at the hospital while I deliver (which the respirology clinic is super happy about this plan btw), and we don't have to worry about Evanna whatsoever. [added clarification] homecare and what it entails does differ from province to province, and state to state -- and also takes into consideration the needs of each individual patient. 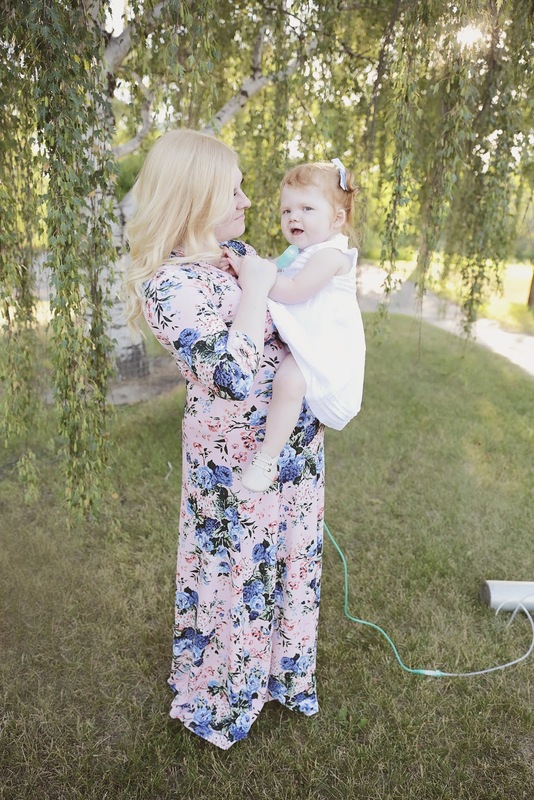 From my understanding (so just take this with a grain of sand), Alberta has one of the more comprehensive homecare programs with full nightcare hours and a fair amount of day hours, and know other provinces within Canada (based on casual conversations with other Canadian trach moms) do not offer this same level of coverage. To my knowledge, homecare in the USA also differs from state to state and is paid by/through insurance and generally coordinated by private nursing care agencies. Apparently some states offer 24/7 pediatric nursing care to babies/kids with trachs, while others offer very little help/hours. Also, at the moment (and since we've been home), our family is fully "LPN funded" due to the fact that Evanna has a trach and requires home ventilation (plus I know her critical heart defect/lower oxygen saturations/high oxygen needs makes the trach team more nervous and believe they may not want to "rock the boat" and change our homecare contract until after our 2 big open heart surgeries that are set to take place in 2018), but once we wean Evanna completely OFF the ventilator, our night hours will eventually be reduced to "HCA funding", and we will lose some of our daytime respite hours too. 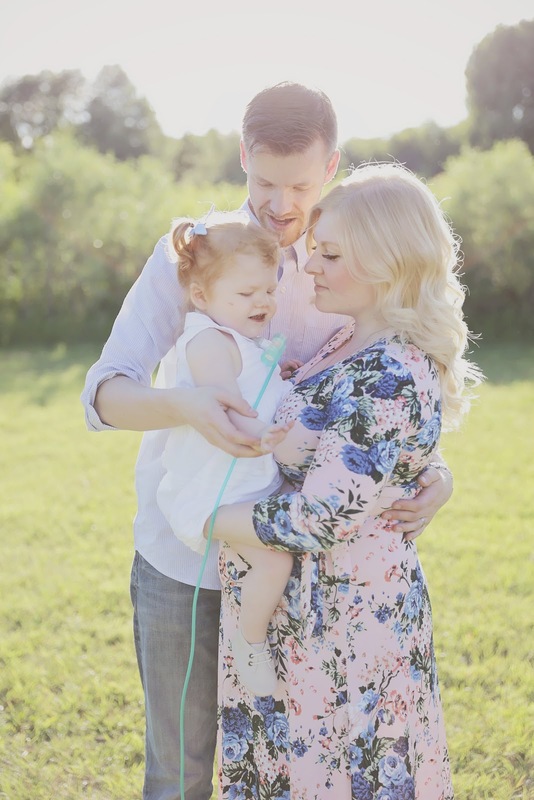 Essentially, I can only speak to what homecare currently looks like for our family -- which is based on Evanna's diagnoses/healthcare needs and what our provincial healthcare system offers funding wise. Finally, our homecare nurses have not only been a huge physical support to Nick and I over the years, but mental and emotional too! 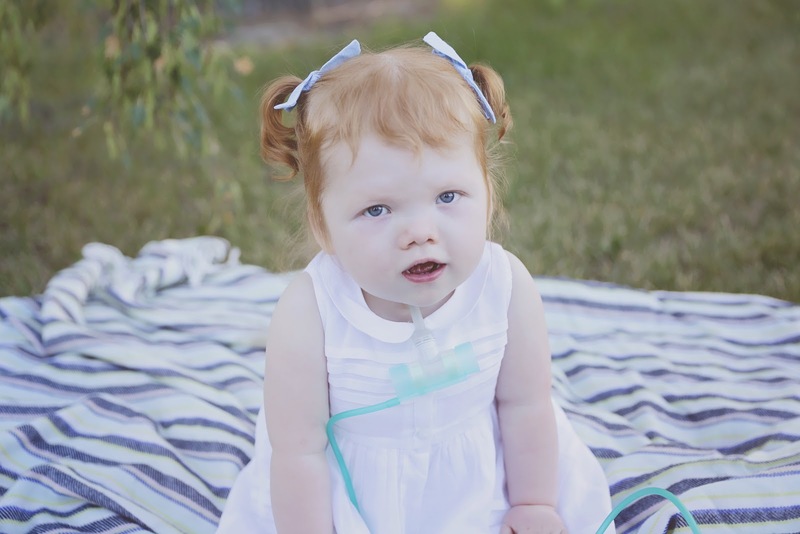 We often reminiscence on those first 3-6 months home when Evanna was still somewhat very "sick" and her medical needs were extremely high. There are times I can't believe we survived that time period without any readmissions (our first unplanned readmission wasn't until April 2016 due to a sternotomy infection), and were able to find a nice little grove in a somewhat timely manner. 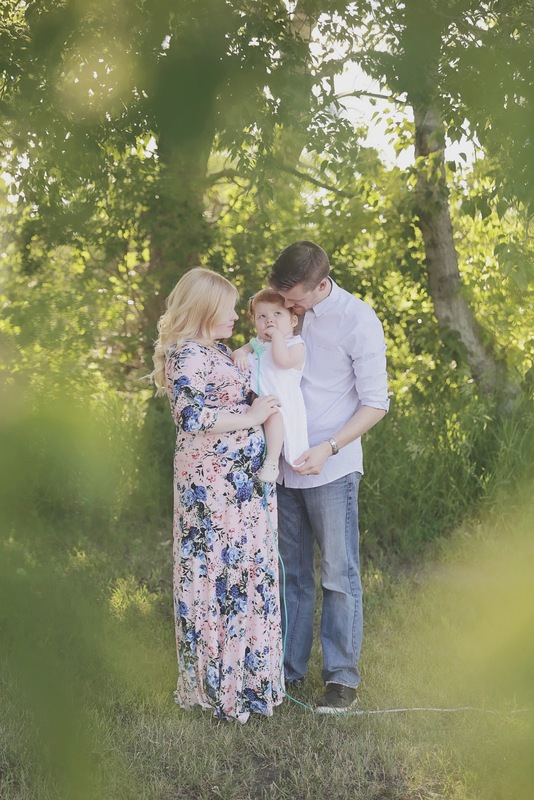 We've definitely grown more and more comfortable with them in our home, and let's just say that my pregnancy has personally made me even made more comfortable and not be so overly modest lol (at 8.5 months pregnant, I'm currently in survival mode, okay??). 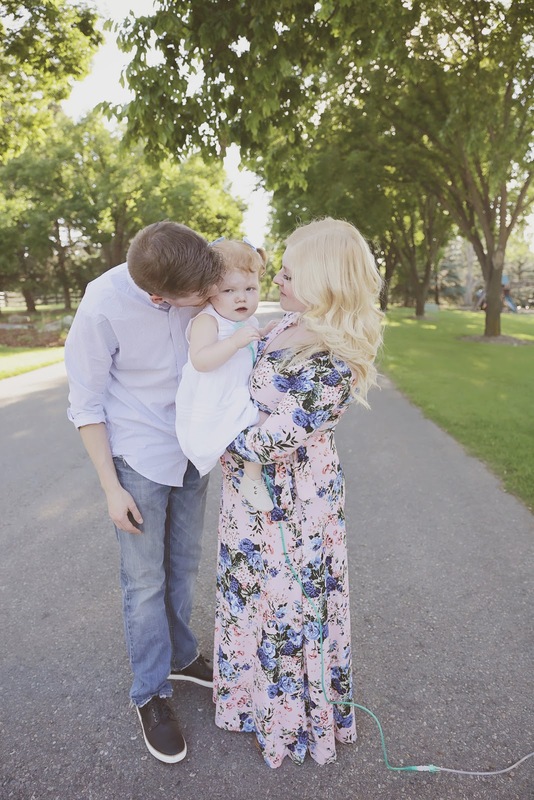 They share some of the same fears we have for Evanna, and have definitely become Evanna's personal cheerleaders and continue to celebrate each and every little milestone. Our nurses were quite literally some of the first people we informed that we were pregnant with baby #2, as well as our very exciting "California news". 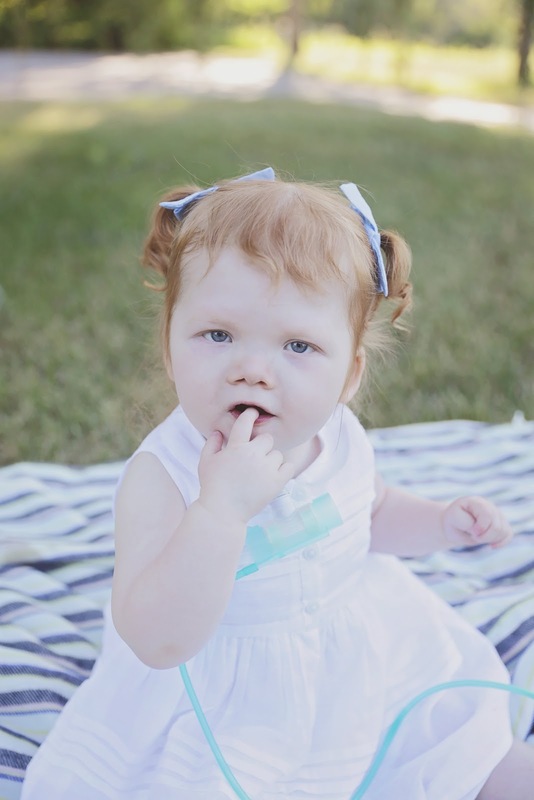 While it will indeed be a great day when we can finally "decannulate" Evanna (take out her trach), it will also be a very sad day, in that we will have to say a partial goodbye to this support system that has just been so incredible and wonderful to our family. If you're interested, earlier this year I also stumbled across this article on pediatric homecare -- which is basically another perspective written by another special needs mother on what it's all about. She did a fantastic job explaining the roles of homecare nurses, and show just how valuable they are to families like ours. While there are indeed some differences between expectations and tasks (ie. Nick and I keep track and order supplies as needed, and our nurses definitely do not call any of Evanna's doctors), every family's needs differ from home to home, and it's very important that nurses are flexible to cater to that (having a homecare nurse "stuck in their ways" and unable to recognize the needs of each individual family can definitely make things difficult and create a lot of tension and stress on the family). Anyways, just thought it was an awesome post and makes for another a great read with even more information on pediatric homecare and what it involves! Over the next year or so (so I will be posting about them from time to time), I'll be partnering with the organization Tuff Sprout that's based up in Edmonton to help raise awareness for children facing extraordinary challenges and even raise a little bit of money for the Stollery Foundation (the hospital we called home for most of 2015). To find out more -- make sure to visit their website to see how you can help. Also, if you decide to make a purchase from their shop --- make sure to enter "Evanna" into the ORDER NOTES, which will ensure proceeds (20% of net profits) from that purchase are directed towards the Stollery Foundation! How far along? 31 weeks exactly. Part of me can't believe there's only about 2 months left before I'm full term, but then there are times that still feels pretty far away. Maternity clothes? Yup....though I'm already starting to loose interest in maternity clothes a lot faster this time around. I remember when I was around 34 weeks pregnant with Evanna that I began to yearn for my regular closet -- this time it was 28wks lol. I purchased a few more pieces to get me through the last little bit, but I definitely can't wait to pack it all up again and stuff them back into storage (til next time that is....)! Stretch marks? Eh -- finally seeing a few new ones popping up here and there.....sigh. Sleep: Still pretty good. I definitely have a hard time flipping side to side during the night (and I end up somewhat bouncing the bed in the process which annoys Nick just a little lol), but I haven't reached that "up a million times each night" point and whatnot. Best moment: Evanna starting preschool + really getting the hang of crawling! She's not sprinting off the home ventilator during all waking hours yet (we're working on it!)... so it makes for some interesting moments (ie. constantly having to run after her and rehook her up to the vent every time she disconnects herself due to running out of tubing...) -- but it's a "good problem" that I've been wishing for since the day we brought her home. Miss Anything? My pre-pregnancy body and energy levels. I've been spending the last few days being a bit concerned about my energy levels and alarmed at how worn out I get with just the simplest of tasks. While tiredness is to be expected when you're pregnant, I don't remember being this run down when I was pregnant with Evanna and I still have 8-10wks left to go! Between homecare nurses that watch Evanna during the night that allow for a full nights sleep, and a wonderful hubby that does all the cooking and a fair amount of the housework, it's not like I being "run down" (I'm also only working part time, whereas I was working full time before I delivered Evanna), yet I start to feel faint and light headed when I have to stand for longer than 5 minutes. I've been considered borderline anemic in the past, and both Nick and my mom have made comments about me looking like I have "black eyes" in recent weeks (Nick actually thought I got punched lol). So I've decided that I'm going to ask to have blood work done when I see my OB next week, and hopefully see if we can get to the bottom of things before I'm further along in this pregnancy. Movement: ALL.THE.TIME. I know this may be insensitive to say, but baby boy moves so much... and it's almost getting a little annoying and irritating. While I'm grateful to be reminded that "all is well" once in awhile -- it's beginning to get super uncomfortable and even painful at times (boy packs quite the punch I must say!). Symptoms: Oh the HEART BURN! I finally gave in, and am downing the tums like nobody's business... but apparently I'm almost through the "worst of it" according to my OB, as my body is suppose to expand more outwards (as if I'm not big enough as it is...) and give my stomach more room to relax in coming weeks. Belly Button in or out? Is flat an appropriate answer?? I never got that "bulging belly button" with Evanna... and so I'm just anticipating the same thing. Happy or Moody most of the time: Happy! Life is pretty good all things considering, and I have soo much to be grateful for right now (with Thanksgiving just around the corner, the subject may be currently on my mind lately). 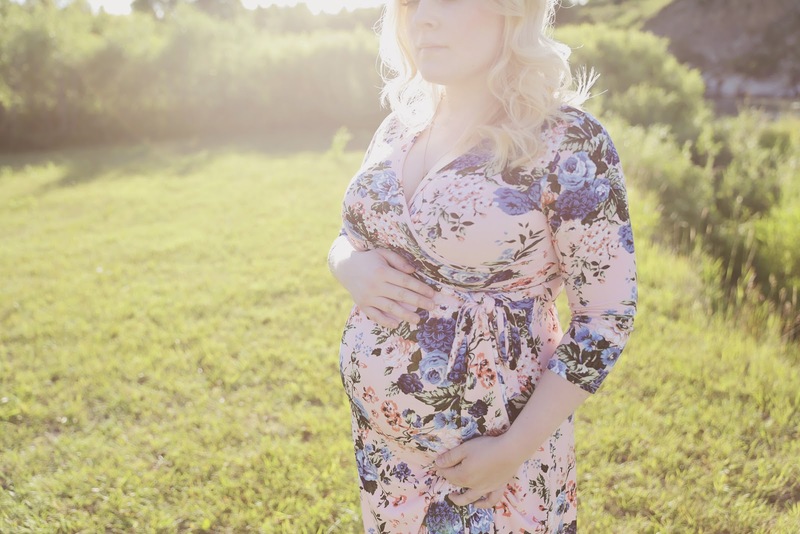 Evanna continues to being doing absolutely amazing, my pregnancy continues to be somewhat "boring" (I'm saying this in a positive tone), and I honestly have little to complain about. Between counting down the days til I deliver and slowly preparing for our surgery in California, I'm trying really hard to just enjoy the here and now. 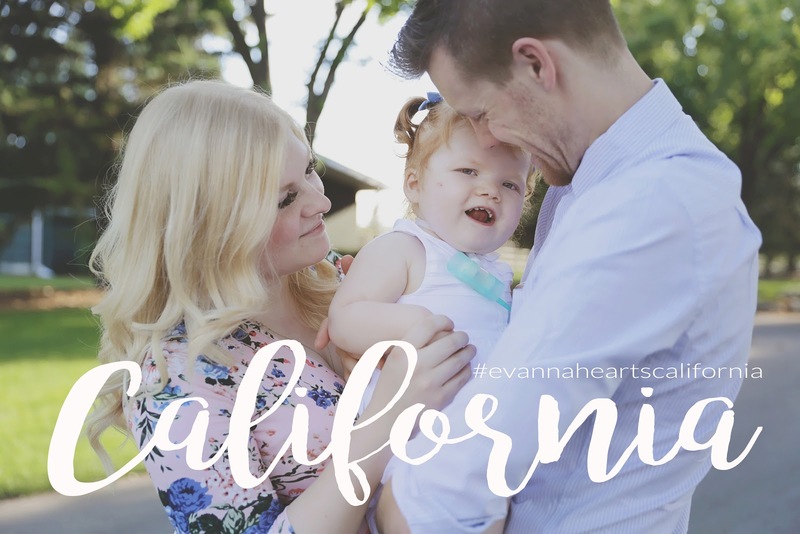 Our primary cardiologist called me yesterday to let me know the status of the out-of-country funding application (it's officially being submitted this week fyi), and we talked about the how everything feels like it did the summer before Evanna's first open heart surgery. I remember being soo impatient waiting for that first surgery to take place (as I am now with our impending trip to California) and how it felt like that day would never come -- when in reality, those first 5 months we got to spend at home the summer after Evanna was born were a blessing in disguise... and wish I would have cherished that time a little bit more. So I'm trying to remind myself to enjoy this period of health and stability, and relax, as both baby brother and the surgery will be here before we know it. Looking forward to: Thanksgiving, Halloween + my birthday! First up is Thanksgiving, and Nick and I are hosting two of them (one with his family on Saturday, and another with mine on Sunday), as I'd rather host this holiday vs Christmas when we'll be trying to adjust transitioning to a family of FOUR! As I stated in my last post, Thanksgiving is the only holiday we have not been able to celebrate at home with Evanna, as we've been admitted in hospital for this holiday for the past 3 years in a row -- but my fingers are crossed tightly and all signs are pointing to the fact that Evanna will indeed remain out of hospital this weekend! Despite the fact that Evanna will have no idea what's going on when Halloween rolls around (so celebrating the holiday will be more for our benefit lol), we already have a costume picked out and Nick will be home to help take her trick-or-treating this year... though I hope she enjoys herself a lot more this year than she did last year....lol. November always means the start of some birthday celebrations for myself. I will be considered "full term" the day after I turn 29 years old, and plans currently consist of dinner, a staycation at a really nice hotel with Nick, followed by a morning of brunch and complete pampering. I've also already made additional plans for pedicures with my girlfriends (which I'm also counting as my "baby shower"), and dinner with my family throughout the month.